The Endless Labyrinth Trap is a Forgotten type weapon. Mice who try to steal cheese from this powerful trap are transported into a smaller, more twisted version of the Labyrinth. Only mice powerful or lucky enough manage to escape from this trap before it locks them within. The rest will live the remainder of their natural lives forgotten within this endless maze. The Endless Labyrinth Trap is not sold by any Trapsmith. It can only be crafted given the proper ingredients. The Endless Labyrinth Trap (if unintentionally smashed) can be reassembled from Endless Labyrinth Trap Parts. 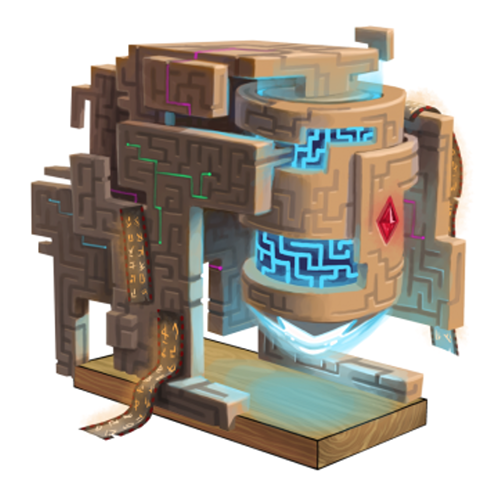 Infinite Labyrinth – Upgraded trap crafted from Endless Labyrinth Trap Parts. Smashing this weapon with the Hunter's Hammer yields Endless Labyrinth Trap Parts. 9 September 2015: The Endless Labyrinth was introduced as part of the Hollow Heights release.